In an accident, first seek emergency medical treatment for yourself and anyone else on the scene requiring medical attention. Then make sure to follow up with your regular doctor soon after the accident. The full extent of some injuries cannot be immediately determined and may require further diagnostic tests. This is especially true of head injuries. At the scene of the accident, trade personal information with the other driver, including names, addresses, driver’s license numbers, and registration and insurance information. Obtain contact information for any witnesses, and take pictures of the scene from different angles, including property damage to both vehicles. In most cases, police will arrive at the scene and make a report of the accident based on observations and interviews with both drivers and witnesses. Motorcycle, scooter, or bicycle collisions with a larger vehicle often render the victim unconscious and unable to report to the police at the scene. This can lead to a police report that is very one-sided, based only on the statement of the other party involved in the accident. A similar risk arises where the biker or cyclist was forced off the road and into an accident by another vehicle or road hazard, but no actual collision occurred. In these cases, there may be little external evidence, aside from the victim’s own account, to prove that the accident was another person’s fault. That is one reason why retaining a skilled attorney is so important. Having the services of a good Los Angeles motorcycle accident law firm can make all the difference for you. A skilled and experienced trial attorney can employ accident reconstructionists or expert witnesses to help demonstrate how the accident was caused by the negligence of another vehicle or unsafe road conditions. If my accident was caused by a public agency, such as a collision with a city bus, or on an unsafe road or construction zone, will I be able to sue the government for my injuries? Yes, but the procedure you must follow is different from a lawsuit involving a private party. The state’s Tort Claims Act controls how a city, county, or state government authority can be sued. This law provides for a civil lawsuit against the government for injury or wrongful death caused by the negligent acts of its employees. Before you can sue a government entity, you must first file a claim with the appropriate government agency within six months of the injury. The government has 45 days to either accept or reject your claim. If the claim is rejected, or if the governing board fails to act, you may then file a lawsuit. However, this lawsuit must be filed within one year of the accident, or else your claim will be forever barred; this is a much shorter time frame than the usual two-year statute of limitations in a personal injury case against a private party. If your claim potentially involves a city, county, or other public authority, seek the advice of an attorney with experience handling claims against the government as soon as possible. Do not wait to contact a lawyer—any delay can jeopardize your rights and your ability to obtain a recovery. Contact our Los Angeles motorcycle accident law firm today to take prompt action. Are laws different for motorcycle accidents than for car accidents? Yes. In a motorcycle accident, a motorist may not see you, may turn in front of you, may cut you off in your lane, or may strike you when passing another car. Most motorcycle accidents are of these types, and liability can be assessed of the other driver in these cases. Failure to follow road rules may cause or contribute to the accident, and this may also indicate liability for the other driver. Additionally, liability can be assessed if the other driver does something that a prudent driver would not do in similar circumstances. In that case, regardless of whether a road rule or statute was violated, liability may be assessed. California is a comparative fault state, which means that each person pays only for their own fault. If a driver causes an accident and the motorcyclist did nothing to contribute to the accident, then the driver must pay 100 percent of the damages of the motorcycle rider. If the motorcycle rider was partially at fault, then the driver must pay only their portion of fault. What is the process a Los Angeles motorcycle accident law firm takes to pursue a claim? With thorough analysis, we gather the facts and present our best estimate of the validity of your claim. We talk with the insurance companies involved to see the approach they are taking. 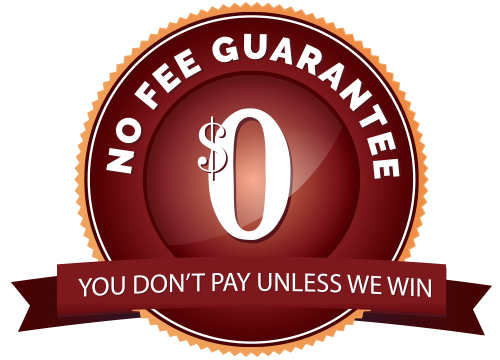 And, when there is the opportunity for a settlement in your favor, we handle all the details of that settlement. When a settlement is not possible, we are prepared to litigate on your behalf. Mr. Kornberg has a strong track record of winning judgments on behalf of our motorcycle accident clients. What is the best way to choose a Los Angeles motorcycle accident law firm? Look for experience. You want a trial attorney that has litigated—and won—complex motorcycle accident cases, and has achieved judgments or settlements on behalf of clients.The Law Offices of Howard Craig Kornberg represents people in Los Angeles and throughout Southern California who have been seriously injured in motorcycle accidents due to the negligence of others. Our firm has represented people injured on motorcycles, bicycles, scooters, Segways, and other motorized vehicles in a variety of accidents on the roads and highways, including those involving lane splitting, HOV lanes, and blind spots. Call us today for a free consultation about your claim. You can reach us toll-free at (866) 685-7259 or contact us online.